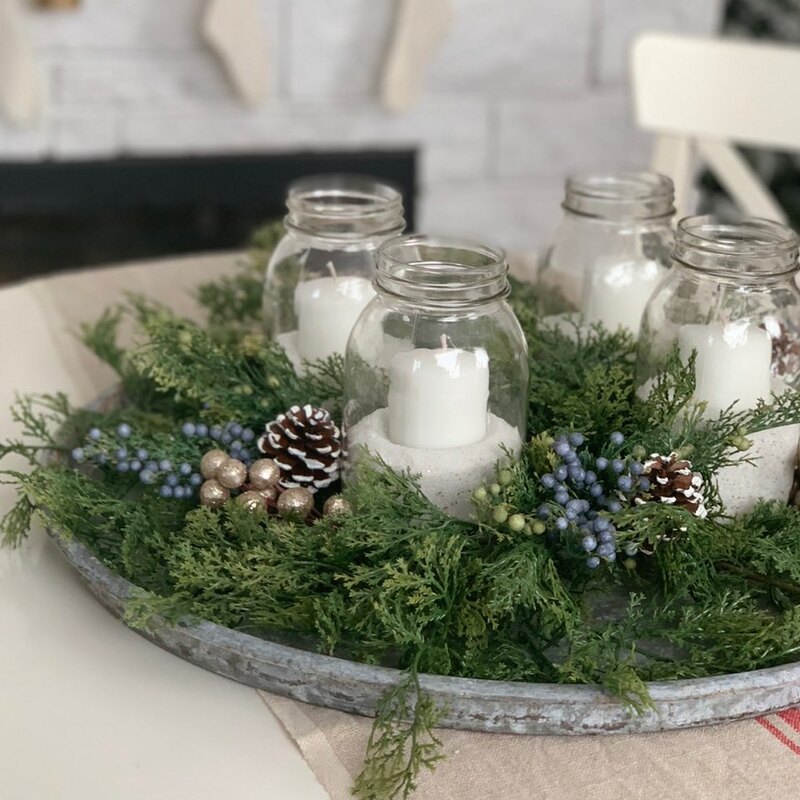 This is an easy DIY advent centerpiece, that can also just be made into a tablescape. First take your greenery and spread on your tray. Next pull off extra greenery, and spread throughout. Now it’s time to fill your jars with sand and place the candle! Then it’s time to wait for Advent!